In the now-showing Kannada movie ‘Sarkari Hiriya Pratamika Shaale, Kasargodu: Koduge Ramanna Rai’, Director Rishab Shetty narrates the condition of government Kannada schools. 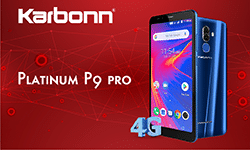 The movie, based on the Director’s real-life incident, narrates the story of a School Head Master who struggles to keep the school running against all odds. 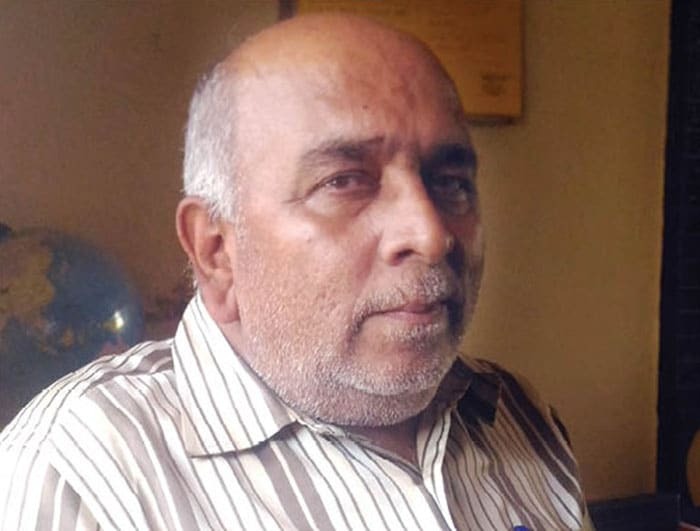 Like the reel-life Head Master, effectively played by Ananth Nag, there are many real-life Head Masters who struggle every day to run government schools where the strength and infrastructure are poor. On the occasion of Teachers’ Day on Sept. 5 to commemorate the 130th Birth Anniversary of Second President of India Dr. Sarvepalli Radhakrishnan, who had a stint as a Philosophy Professor at Maharaja’s College, Mysuru, this Weekend Star Supplement highlights the efforts of Sarkari teachers in running schools against stiff competition from mushrooming private schools and also features some schools that bring out the feel-good factor. Compiled by B.C. Thimmaiah with inputs and photos from S.T. 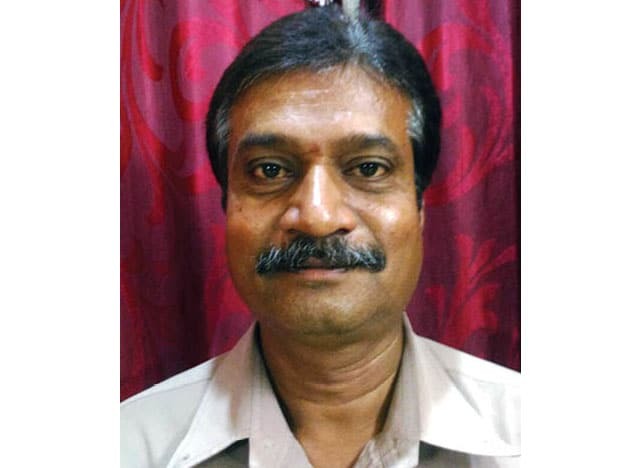 Ravi Kumar, M.T. Yogesh Kumar, Rajkumar Bhavasar, M.B. 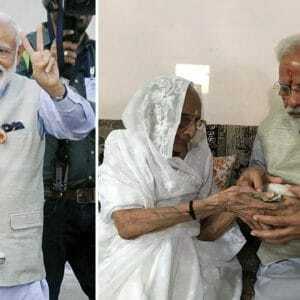 Pavan Murthy and M.N. Lakshminarayana Yadav. 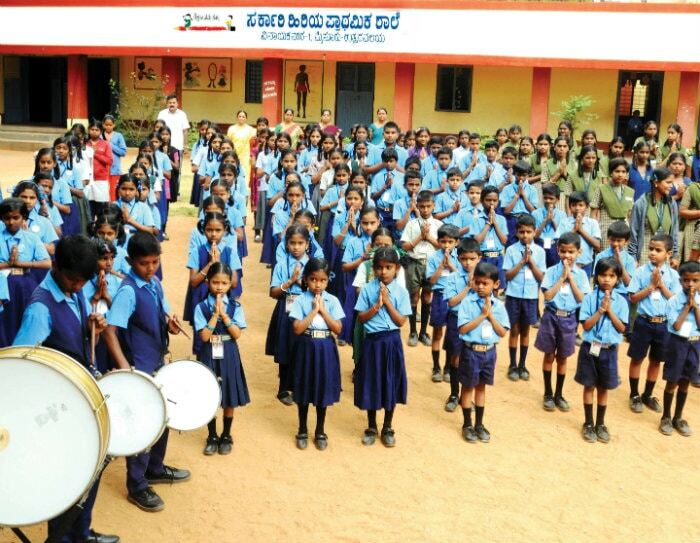 MORNING PRAYERS: Students assemble for prayers at Government Higher Primary School in Paduvarahalli (Vinayakanagar). In 2017-2018 SSLC exams, Arpitha scored 96 percent in this school and this proves that teachers provide good education here. “Many parents indulge in a rat race to admit their children to private schools and this has become a huge business where parents are fleeced no end. Parents and the public must realise the fact that there are good government schools. The only thing here is that they must look around for a quality government school instead of queuing up in front of a private school,” Anand says. Sadly, when a good government school is available just a stone’s throw away, parents in this area send their children to far off private schools in vans and other vehicles coughing up lakhs of rupees in fees, food and transport, he adds. This is the only one Hindi Medium School in Mysuru which is no less than a well-managed private school. 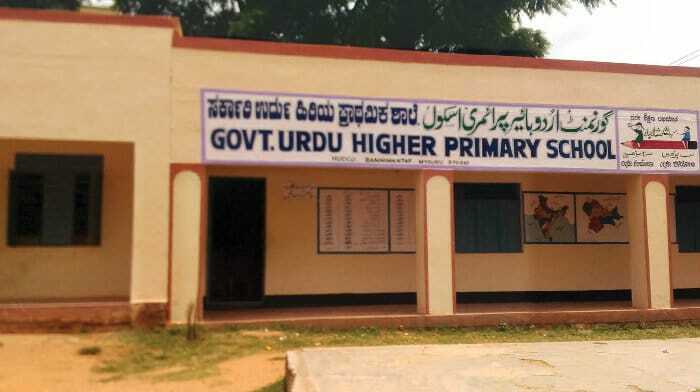 Located near Ranjith Talkies (Halladakeri, Chatri Mara) at Nazarbad, the Government Sindhi Higher Primary School boasts of being a unique government school where even the wards of the rich and the affluent study here. It has good facilities, well-trained staff and offers education from LKG to Seventh Standard. Also, this is the only government school that has LKG and UKG sections. SETTING AN EXAMPLE: The Government Sindhi Higher Primary School at Nazarbad can be termed a model government school. The school has strength of 59 and there are five teachers and a Head Master. The ambience, the discipline, the infrastructure, surrounding compound wall with security grills, play area and kitchen areas can be compared with any other private school. Most of the children of this school come by cars and autos and a majority of the students hail from Gujarati, Rajasthani, and Marwari families. Students here wear a special uniform and shoes. They get all the facilities from the government and there is English teaching from the First Standard. Text books are free and students are fed with mid-day meal and students are given milk under Ksheera Bhagya scheme. This apart, the school has remedial teaching to enable students to cope up with syllabus. KNOWLEDGE IS POWER: Apart from regular teaching, special science sessions are held in the school where documentaries on astronomy are beamed. Interestingly two students of this school come from as far as Columbia Asia Hospital and the teachers have contributed money to get bus pass to the students. With strength of 59, the school has a better chance of survival and here, the teachers work with a passion to teach and propagate Hindi. Each class here focuses on the all-round development of the students and a few donors have donated LED TV for the students to learn science and mathematics concepts. 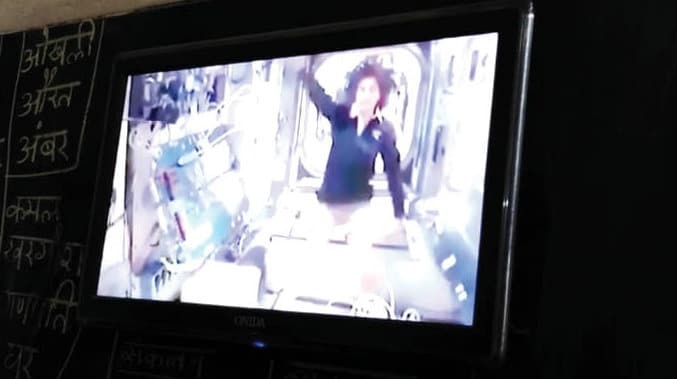 A set-top box has been specially installed at the school where science, astronomy and other documentaries that interest the students are beamed. The school celebrates all the days of national importance in a grand manner. Sharing their experiences at the school, students Veena, Kumari, Dimple and Rohit said that they know the importance of Teachers’ Day and they recall the contribution of Dr. Sarvepalli Radhakrishnan. They also attend the official celebrations that is organised by the District Administration. Enter this school and you will feel like you have entered a school in Chennai. 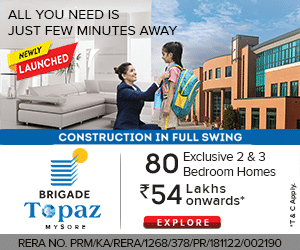 It will take a moment or two to realise that you are still in Namma Mysuru. The Government Tamil Higher Primary School, located near RTO Office has classes from one to seven. It has four teachers and one Head Master. One heartening point here is that students here are well-versed in Kannada and can speak better Kannada than any other Kannada medium students. NO LANGUAGE BARRIER: The Government Tamil Higher Primary School. It has a few students and attempts are being made to increase the strength. The school was established in 1961 by Tamil Sangham and the school building belongs to Hardwicke Institutions. Earlier, the school used to pay rent to Hardwicke but now it is rent-free. When it was established, there was considerable strength that has gradually reduced to the present 18. 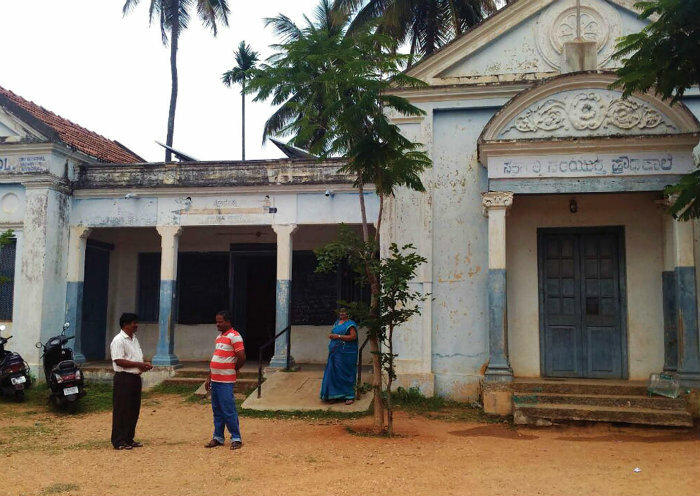 Earlier, students used to come to the school from as far as Nanjangud and Salem in Tamil Nadu. “But now, the second generation parents have chosen other English Medium Schools. Now our students hail from the families of migrant workers from RBI, Kalyanagiri and surrounding areas. We have done canvassing in many Tamil extensions in city and the strength is yet to improve, says Head Master Raju. “We are desperate for students,” he added. Thilagavani, Valliammal and Valaramathi are Tamil teachers while Latha teaches Kannada. 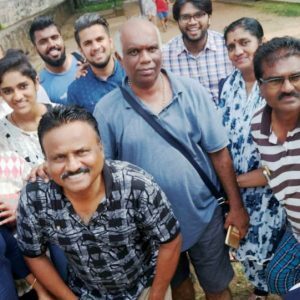 Almost all the students here speak fluent Kannada and there is only one student who has continued his education here since class one while the rest of the students have joined the classes from other schools. KANNADA CAUSE: Students here are well-versed in Kannada and can speak better Kannada than any other Kannada medium students. Most of the students here come from poor economic background and due to lack of strength each teacher can give more than individual attention to students. The government Urdu Higher Primary School, HUDCO Layout, Bannimantap is an apology of a school though there is strength of 84. 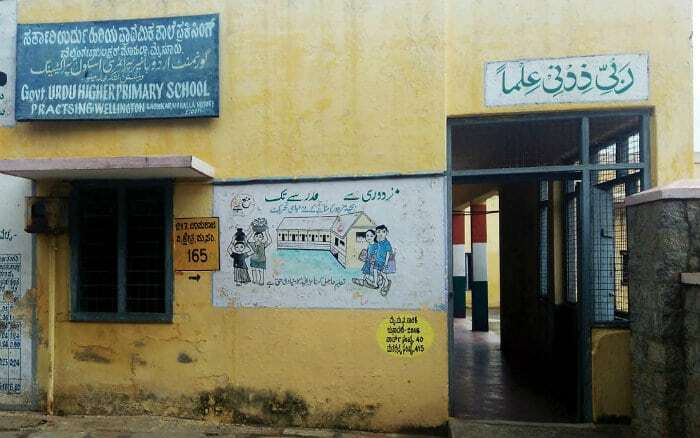 The school was merged to the Siddiquinagar Urdu School but the merger was not much of a benefit as only one teacher and one student came from that school. 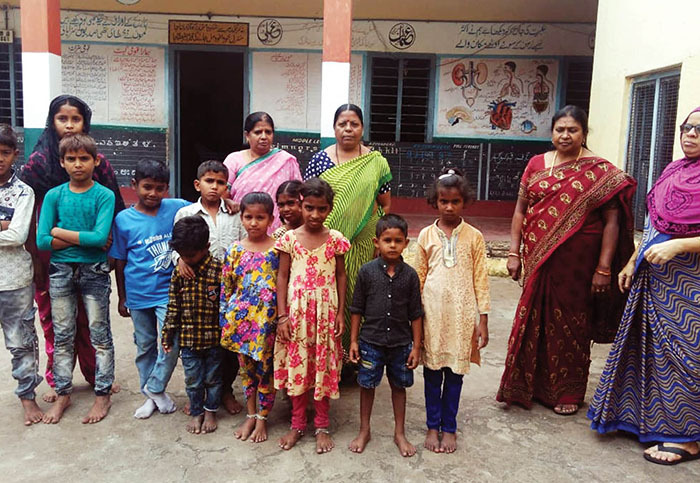 SURVIVAL OF THE FITTEST: The government Urdu Higher Primary School at Bannimantap fights against all odds like poor infrastructure and strength. 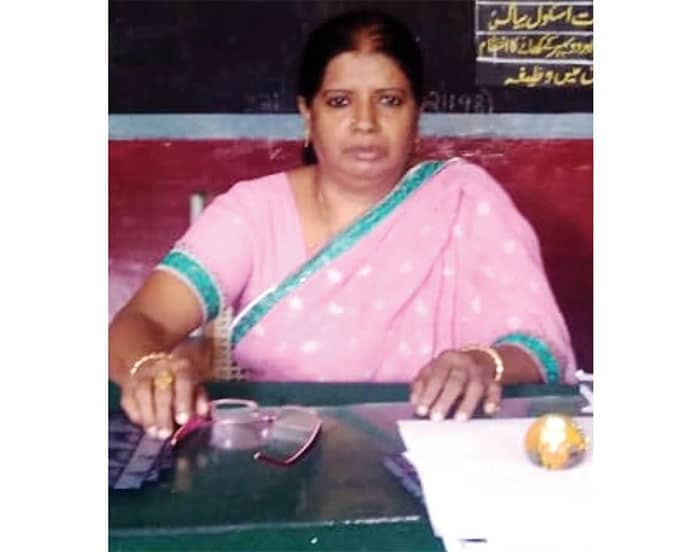 The school is headed by in-charge Head Mistress Gulsheer Banu and there is one Kannada teacher and two Urdu teachers. The school, since a long time, is managed by in-charge head as the government has not yet appointed a permanent head mistress. These four teachers manage all the classes – six subjects. As it is a government school, free mid-day meal is provided to students. But the kitchen is ruled by rodents and rats that have dug deep burrow around the kitchen walls. 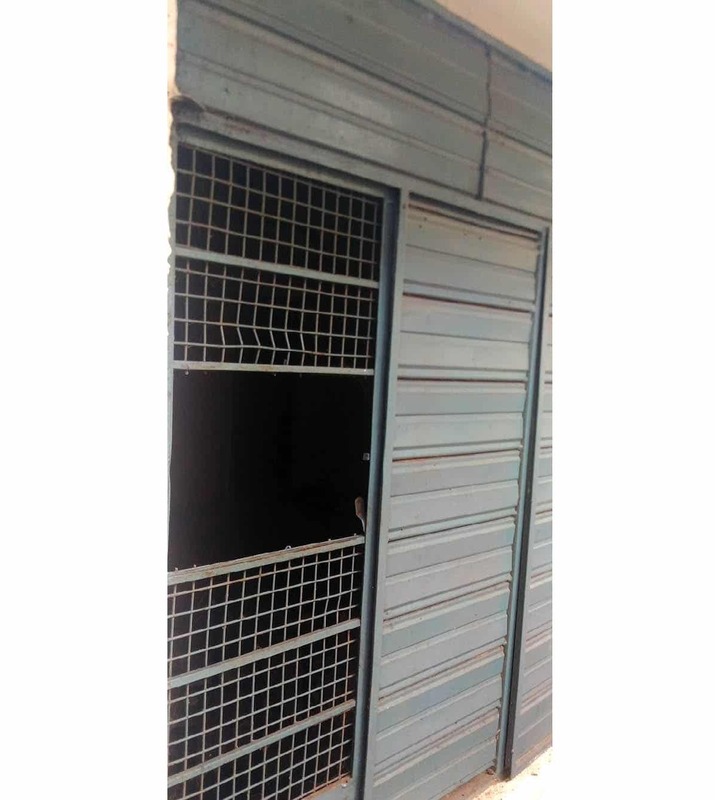 Also, thieves had entered the school by breaking the grills and had stolen a computer and an LPG cylinder. “The Police have so far failed to trace the thieves,” said teachers. The school is managing with just one cylinder. Thieves cut the grills to steal computer and LPG cylinder. Though there is a compound wall around the school, outsiders throw waste inside the school. Interestingly, the same school had strength of over 300 and eight teachers seven to eight years back. These students do not know who Sarvepalli Radhakrishnan is and why Teachers’ Day is celebrated. “Every year we go to the event that is organised in Kalamandira and we return after having sweets and lunch,” a student said. Right To Education (RTE) was supposed to be a boon for those students who are from economically weaker sections of the society. But for this Government Urdu Lower Primary School at Bannimantap, RTE is a curse as most of the students have migrated to private schools. The present strength of the school is 26 and according to Head Master Nasir Ahmed, basic facilities are good here. Teachers’ Day is celebrated with pomp and show here as all the School Development Management Committee members come to the school on all important days and celebrate with students. Apart from celebrations, the teachers conduct activities like games, debates and drawing. This school has an important message to government officials: Don’t restrict Teachers’ Day to students and teachers and there must not be any discrimination between officers and teachers. Public must also be involved. “Also, the practice of teachers themselves applying for government Teachers’ Day Award must stop. Instead of this, Block Education Officers must identify the deserving teachers from the ground level and award them,” said teachers. 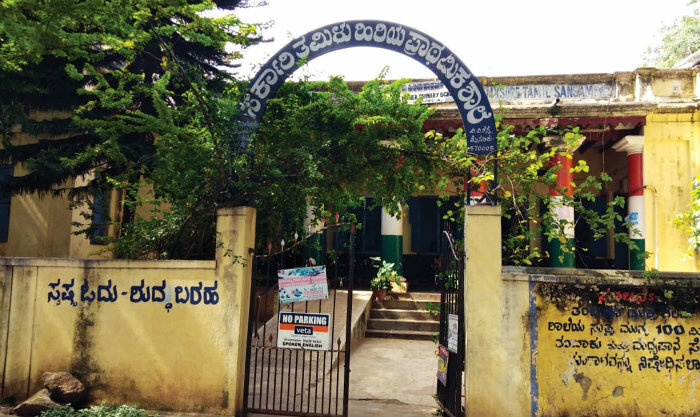 The Government Primary School and High School that is functioning near Yadavagiri Railway Kalyana Mantapa has no building of its own. Many governments have come and gone and Mysuru had its own Chief Minister and Education Ministers. Still, the school functions from a rickety old building, proving that amidst the fast growth of private schools, government schools are losing their existence. 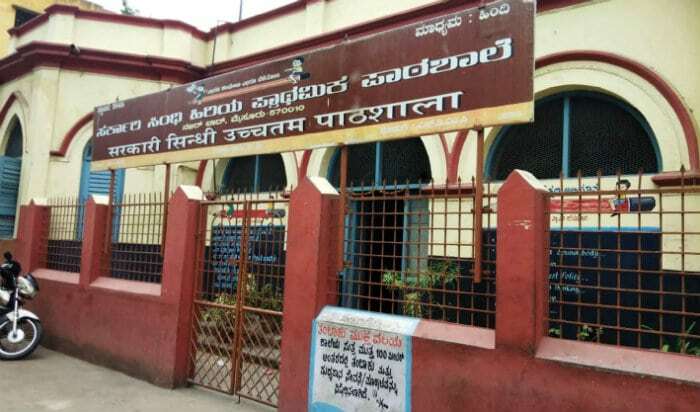 The school, located between Sri Ramakrishna Vidyashala and Railway Kalyana Mantapa, is functioning from an old building that belongs to the Railways. There are 180 students here who are taught by 13 teachers. The school that began with primary sections has been upgraded recently to High School. 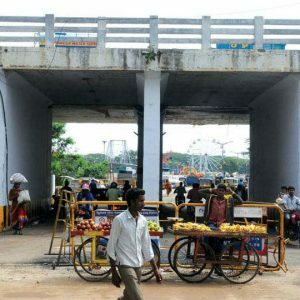 QUESTION OF EXISTENCE: Government Primary and High School near Railway Kalyana Mantapa in Yadavagiri desperately needs an own building. Even if the school wants to repair its dilapidated sections or renovate rooms, it has to seek permission from the Railways. As such, the students and teachers have acclimatised to the nature of buildings and are somehow pulling on. Though the school is well-maintained and has produced brilliant students who have moved on to higher education, the building needs urgent repairs as the roof has been laid with Mangaluru Tiles. 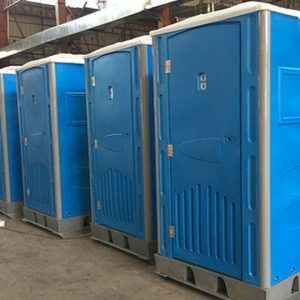 Unfortunately, no elected representative has felt the need to renovate the school that is usually converted into a polling booth during elections. The school gets students from V.V. 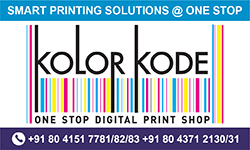 Mohalla, Manjunathapura, Vontikoppal, Yadavagiri and Medar Block. Sadly, the strength of students is gradually declining with parents opting for better school infrastructure and environment. 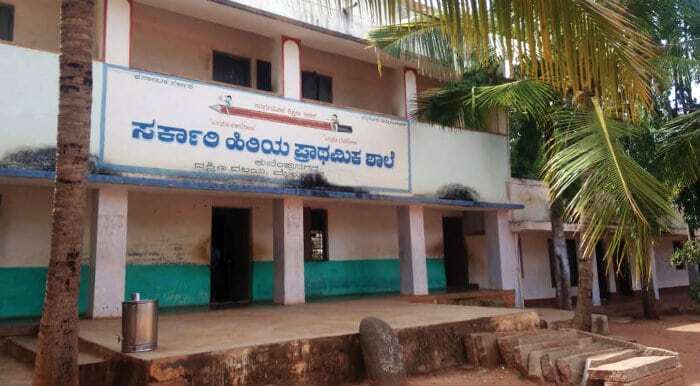 Important events like Teachers’ Day is not celebrated in this school as it is mandatory for students and teachers to attend the programme organised by District Administration at Kalamandira, says Head Master Kemparaju. Under danger of being merged with any other government school or under threat of mushrooming private schools, the teachers are desperately trying to increase the strength and at the same time improve the quality of education. They move around areas asking parents to admit their wards to this government school. 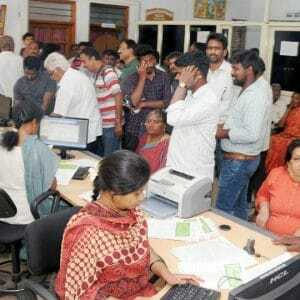 “People want to take maximum benefit from the government under various schemes. But when it comes to admitting their children to government school, they dither. All those who take benefits from government and all government employees must admit their children to government schools,” feels Kemparaju. The government must work out a law to this effect, he adds. 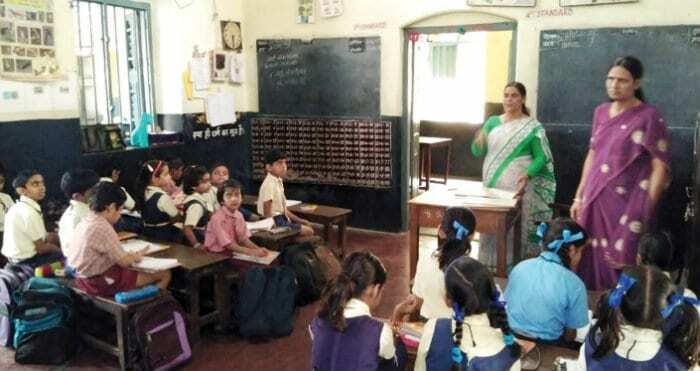 Students Rani and Manjesh feel that Teachers’ Day must be celebrated in a unique way where teachers become students for a day and in turn, students become teachers for a day. “There is no use in attending the event at Kalamandira and listen to speeches. 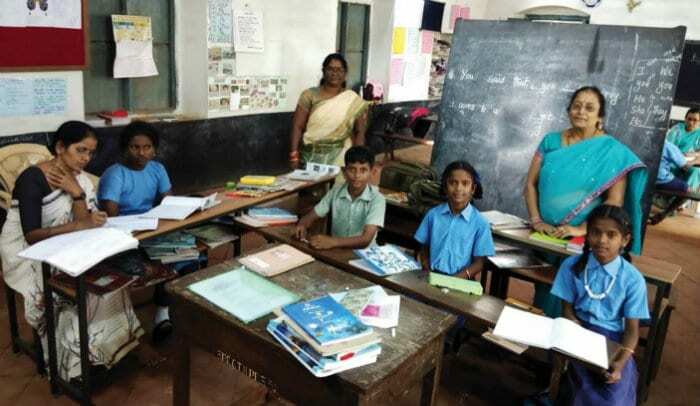 If unique programmes are conducted at the school, they will help build rapport between students and teachers and this is the biggest gift we give Sarvepalli Radhakrishnan,” they said. Here is a school that is desperately looking for some recognition due to its historical significance. More than 100 years old, the Government Urdu Higher Primary School in Lashkar Mohalla is also called “Practsing Wellington”. Located on the Irwin Road, adjacent to Indira Gandhi Rashtriya Manav Sangrahalaya (Southern Regional Centre Mysore), nobody is sure about its historical significance and value. FROM THE PAGES OF HISTORY: The Government Urdu Higher Primary School in Lashkar Mohalla is more than 100 years old. Neither the school authorities nor the Archaeology Department seems to be unaware of the history as they just say, “the school is more than 100 years old.” Incidentally, the IGRMS is housed in Wellington Lodge, the oldest secular structure having been in existence for over 200 years. This building was earlier occupied by the Duke of Wellington, when he was in political charge of Mysore, during the years 1799-1801 A.D., soon after the fall of Tipu Sultan. The school is named in English “Practsing Wellington” and whether it is “Practising Wellington” or “Practsing Wellington” no one knows. But the Kannada signboard that is placed on top of the building reads “Prakising Wellington” The differences in spelling “Practising” or “Practsing” or “Prakising” confuses an onlooker. It is up to the authorities to clarify or correct the spelling. 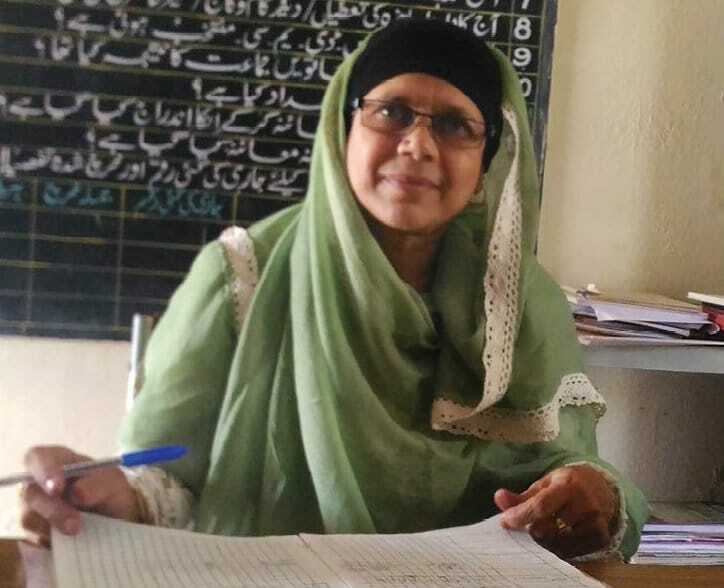 The school is run by in-charge Head Mistress Shanaz Begum and there are four teachers to take care of 20 students. The students here are from economically weaker sections of the society and they come from areas like Ghousianagar and Shanthinagar. Firdous Trust distributes free education materials and books for the students and also provides them with free bus pass. First language in this school is Urdu, Second Language is Kannada and Third Language is English. Two persons are specially appointed by the Firdous Trust to ferry students from their houses in buses and a separate salary is given to them. MLA Tanveer Sait has sanctioned an Aquaguard water unit worth Rs. 25,000 to the school. Though the school has an illustrious history, it is struggling to compete with modern education system and the onslaught of private institutions. The school and its students must get due recognition, at least for the sake of history. The Government Higher Primary School at Kuvempunagar is performing beyond its limitations of being run by the government. It has managed to survive and thrive despite the establishment of many private institutions surrounding it. What is encouraging is that the school has adopted technology without just relying on textbooks to disseminate knowledge. The school has adopted different teaching methods for effective teaching/ learning and all-round development of students. In all, it can be classified as a Model Government School that is a boon for poor students who have the thirst to learn. The school has classes from First to Eighth Standard and has 172 students. There are six teachers and a head master. Students from K.G. Koppal, Dattagalli, Kuvempunagar, Chennagiri Koppal and Jayanagar come to this school. There is a “Pro-Science” exclusive science lab in this school that stimulates the interest of students in basic sciences. Models of mathematics and science make learning easy and fun. There is a separate computer room with six systems and every day, students are assembled here to learn difficult science and mathematics concepts. Teachers beam the problems on a big screen with a projector and simplify the confusing concepts. Even language learning is made easy with this methodology. For example, to teach a poem, teachers choose a song that is based on that poem. This makes students responsive and open to learn. 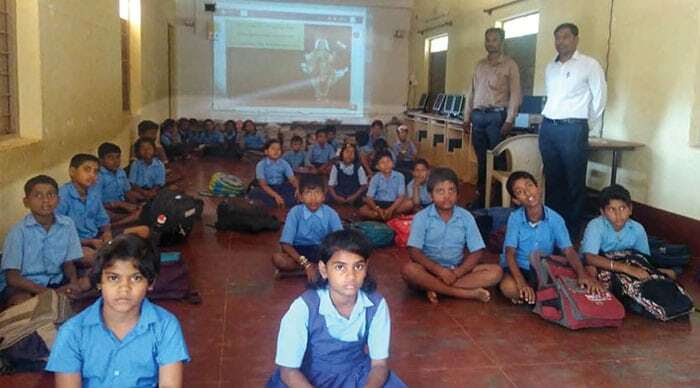 TRYING THEIR BEST: The Government Higher Primary School at Kuvempunagar adopts technology for learning and spreading knowledge. The library of the school is well stacked and there is a separate dining hall where the mid-day meal and the morning milk is served. In all, there are 18 rooms in this school that has a vast play area. There is even a stage where school events are held and celebrated. Head Master H.T. Purushotham says that the commitment of teachers, cooperation from School Development Managing Committee members and generous contribution from donors have helped this school. The school dining hall, borewell, black boards have all been donated, he says. “We give special attention to academic and extra-curricular activities for the overall development of children,” he added.